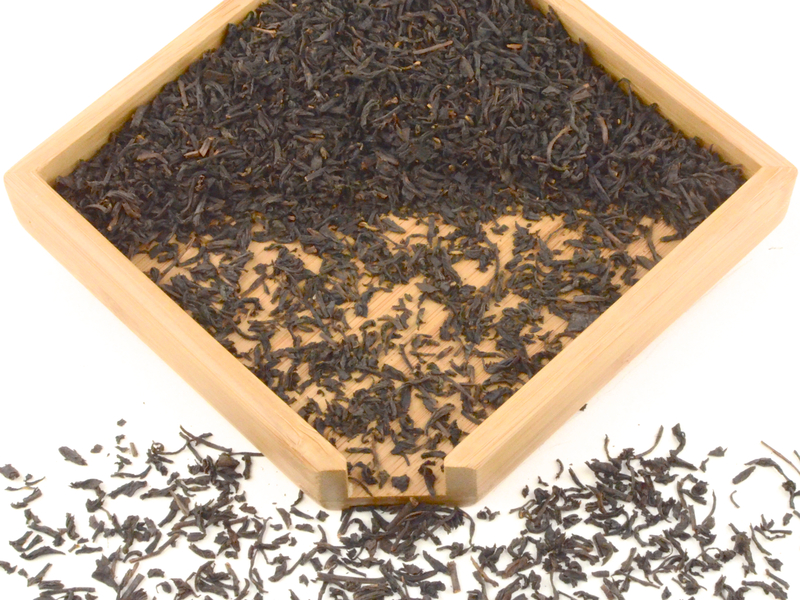 This smoky certified organic Lapsang Souchong is the most popular and familiar Lapsang tea. This tea is crafted with the same traditional techniques used hundreds of years ago. 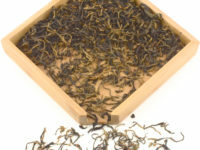 This smoked certified organic Lapsang Souchong is the most popular and familiar Lapsang tea.This tea is crafted with the same traditional techniques used hundreds of years ago. Lapsang Souchong is the tea made famous by the British royal family and by Sir Arthur Conan Doyle’s fictitious character, Sherlock Holmes. Our Lapsang Souchong is smoked over red pine (horsetail pine), giving it the distinct rich smoked aroma and flavor. This tea is one of two smoked teas we currently carry, and is the strongest smoked variety. If you are looking for the original taste and quality of smoked tea, try our Tongmu Lapsang Souchong which is handmade in the birthplace of smoked teas, Tongmu Village. The origin story of smoked tea comes from Tongmu Village. The local people in the village were only able to grow tea and bamboo, and they relied heavily on selling tea to get them through harsh winters. All tea at this time was processed as green tea, which they fried and roasted over a bamboo roaster fueled by odorless bamboo charcoal. The villagers transported the tea to a small trading center town called Xincun where merchandise was sent by boat to the port city Fuzhou. They begged a Xincun merchant to take their crop. The assumed that they wouldn’t make much of a profit, if any, but were surprised to find the next year there was not only a nice return but also a request for more of this new pine roasted tea. Thus the first black tea was invented. Over the years, the levels of smokiness have been changed, this one in particular having a very strong smoke. This is our most popular smoked tea and is either loved or strongly disliked, depending on how your taste buds feel about a smoked taste (often described as “campfire” taste). The tea color is a rusty red and the smoked flavor and aroma will remain in the tea for many infusions. We also highly recommend cooking with this tea, adding it to sauces and marinades is an effective way to get a genuine smoke taste without a smoker. Lapsang souchong has a tunnel for smoke to reach the lapsang tea factory. Withering fresh Lapsang Souchong leaves before kneading. 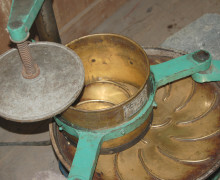 Lapsang Souchong kneading machine, powered by electricity. (Bohea made by a water powered kneading machine). Tea workers sorting Lapsang Souchong.